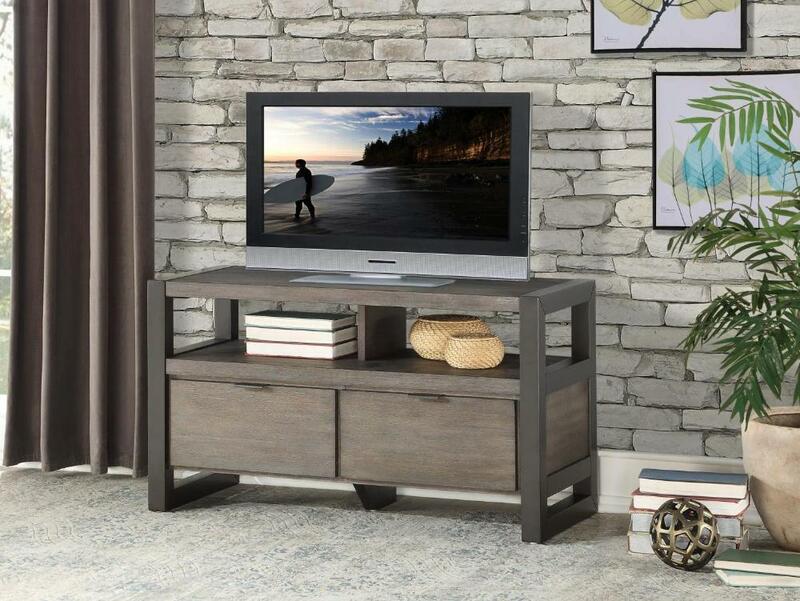 Optimizing your entertainment space is a balance of function, style and versatility, all achieved with the addition of the Prudhoe Collection. 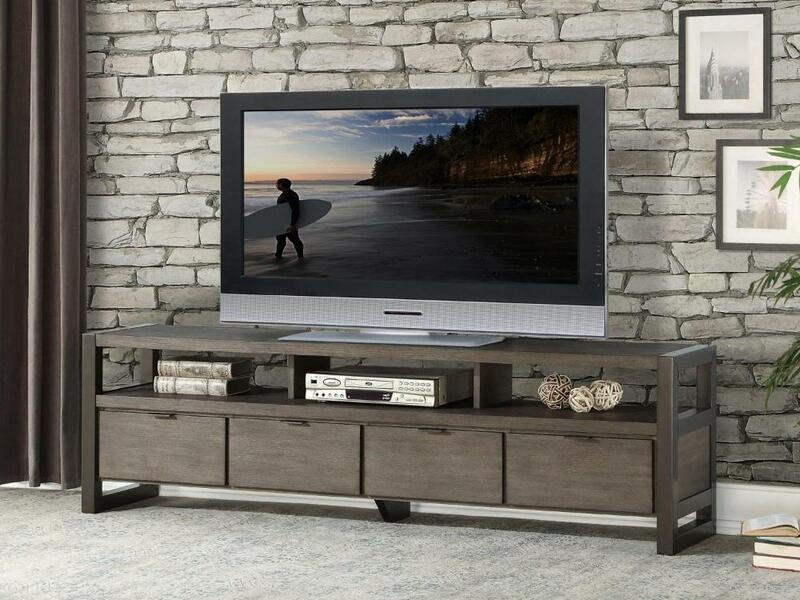 This multi-media console acts a base for your television display and media storage access. Styled to be compatible in a number of casual living environments, the unit is available in 40", 58" and 76" widths, with drawers and open display shelving, providing convenient space for both storage and media display. 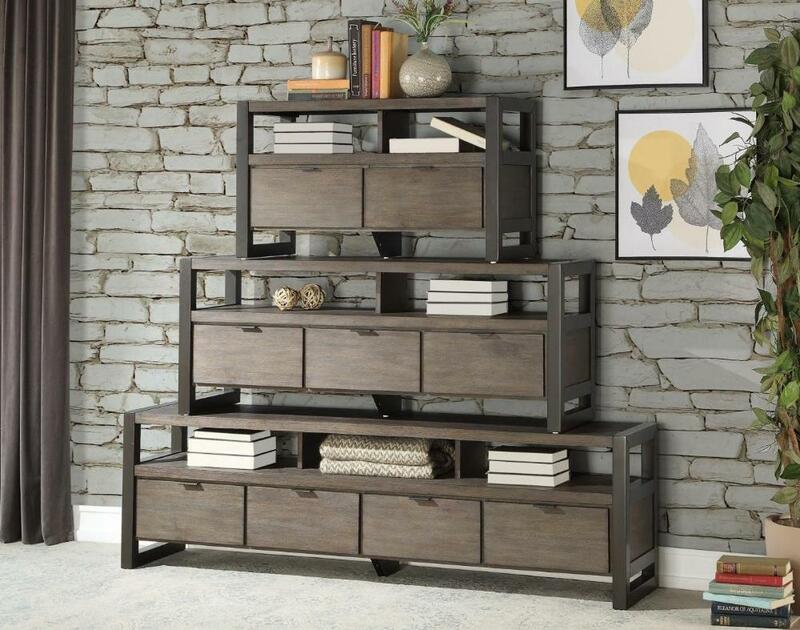 FEATURES: Brown / Dark Grey Finish ~ Modern Style ~ Wood / Metal Combination ~ Open Media Shelves ~ Drawer Storage ~ Pull Handle Hardware.